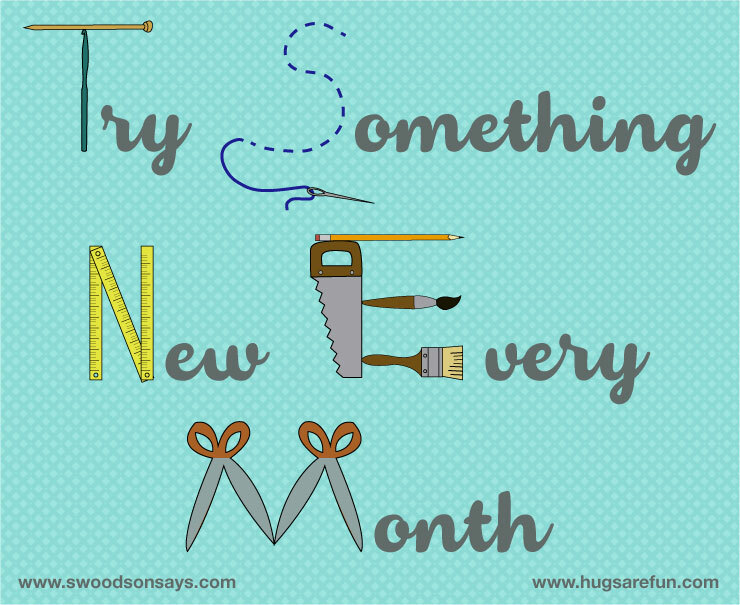 Try Something New Every Month 2016 – Join Us! You are here: Home / Miscellany / Try Something New Every Month 2016 – Join Us! In 2015 Stephanie from Swoodson Says proposed the idea of TSNEM – Try Something New Every Month. She had hoped to get other bloggers to participate but in the end there were only three of us that did it every month, Stephanie and Kristy. We wanted to have themes to give people some ideas of things to try, but wanted to leave them pretty broad. Pick something you’ve been wanting to try out and experiment! I wouldn’t consider everything I did for TSNEM 2015 a success, but I’m still glad I tried them and I’m really excited to see what 2016 brings! Hopefully you’ll join us! You can check out all the different things I tried in 2015 for TSNEM. Make sure to join the Facebook group and follow me on Instagram!